ChemQuest wanted to replace its obsolete system for managing and retrieving documents with an improved internal and external information management system. They wanted a system that can help them to manage the project time-lines and prioritize ChemQuest’s time–sensitive deliverables. Following a series of consultations with key stakeholders, Softweb Solutions helped ChemQuest by developing a centralized management solution for project and document management. 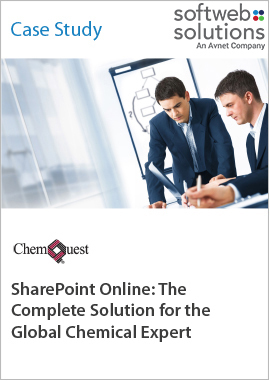 We also designed a custom SharePoint Online solution with an intuitive user interface.